County Fermanagh farmers have, over many years, benefited from the Vaughan Trust. The Vaughan Trust is the outcome of a substantial legacy left by George Vaughan, of Buncrana Castle, County Donegal, who died in 1763. The current Buncrana Castle, which is still occupied, was previously known as the Vaughan Castle. It was built by George Vaughan in 1718, adjacent to the site of the ancient O’Dohertys Keep, overlooking Lough Swilly. 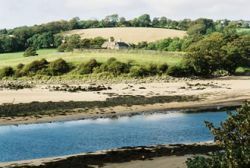 George Vaughan owned a substantial acreage of land within the Inishowen Peninsula and North Donegal area including the Doe Castle and Porthall estates. 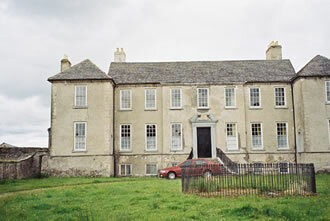 The County Fermanagh connection is that George Vaughan also owned the Castlehassett estate in the North of the County. The Castlehassett estate at that time comprised of 22 townlands and 5 islands in the wider Kesh area. (View Map of Area) Crevenish Castle near Kesh, which is now in ruins, was once known as Castle Hassett. A further connection with Fermanagh is that one of George Vaughan’s sisters married into the Brooke family. In his Will of 1753 George Vaughan bequeathed his properties and land to close relatives subject to stipulations. His wife Alice and only daughter had predeceased him. 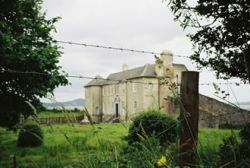 One of the stipulations of the Will was to establish a charity school on his Fermanagh estate for the education of children, particularly in agriculture. Rent from the tenanted land of the estate was to pay for the building and running costs of the school. The management of the project was to be carried out by a number of Trustees. George Vaughan was a broadminded and tolerant man as his Will specifically stated that both boys and girls of both religions were to be educated. Preference was to be given to children of the estate tenants in the North Fermanagh area. Furthermore, tenants were to be financially assisted “to enclose, drain and reclaim all improveable lands” in an attempt to improve the wellbeing of the farmers on the estate. After the death of George Vaughan in 1763, complications arose in subsequent few years as the rent of estate lands failed to reach the funds needed to fulfil all the stipulations of the Will. 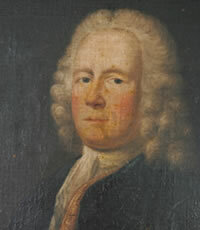 However, with an Act of the Irish Parliament 1776 an outcome was reached to divide the assets equally, one half confined to George Vaughan’s relations according to the Will and the other half vested in the Trustees to manage the legacy in relation to the school and the estate in Fermanagh. The Trustees ensured that in keeping with George Vaughan’s wishes the Vaughan Charter School was erected in 1780 in the townland of Tubrid, in the Castlehasset estate. George Vaughan had expressed in his Will that that the boarding school would accommodate and educate up to “300 boys and 200 girls”. However, due to depressed finances, the school when built was smaller than envisaged and it never reached that target number of students. The emphasis of education for the children was for practical and theoretical agriculture, with estate land set aside at Tubrid for the school farm. Drumkeeran Parish Church at Tubrid was built to serve as a school chapel. Subsequent alterations to the Church were funded by the Vaughan in 1859 to accommodate the seating of the children from the Vaughan Charter School. In line with George Vaughan’s desire to benefit the tenants of the Fermanagh estate a number of projects were undertaken by the Trustees which went beyond the running of the Vaughan Charter School. Various buildings in Kesh were funded by the Vaughan Charity including the erection of a police station in 1862. The façade of this building still exists in the Lough Erne Hotel. 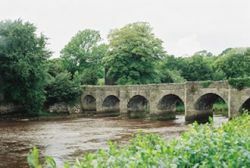 The Irish Land Purchase Act 1903 and the Northern Ireland Land Act 1925 ensured that all tenants of estate lands could potentially purchase the land they had rented for generations. 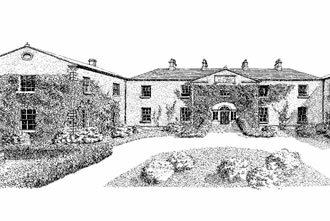 In 1931 the majority of the Castlehassett estate, some 2606 acres, was sold to tenants leaving the Vaughan Charity with approximately 150 acres at Tubrid. This major reduction in rents and poor return on invested monies, alongside rumours of financial mismanagement, led to the Vaughan Charter School being closed in 1934 (and demolished in 1955). Since 1973 the annual income from the invested monies funds the present Vaughan Trust. A new board of Trustees was set up to Government requirements, in order to manage the Vaughan Trust fund. The Trustees are empowered to support the development of agriculture in County Fermanagh at their discretion. A board room in the College of Agriculture and Rural Enterprise, Enniskillen Campus, was named the Vaughan Room. This room contains a portrait of George Vaughan, a drawing of the Vaughan Charter School and photographs of Vaughan Trustees in recent years. The Vaughan Trust continues actively to this day, thanks to the extraordinary vision and philanthropy of George Vaughan towards the farmers of County Fermanagh.